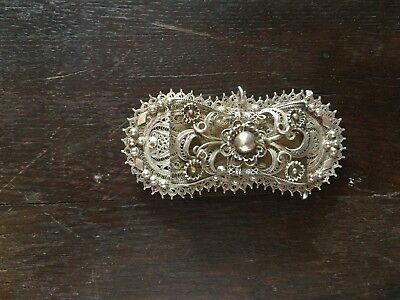 Seller: worldwideantiques1 (430) 100%, Location: Tirana, Ships to: Worldwide, Item: 312528126410 ANTIQUE OTTOMAN SILVER OTTOMAN BELT BUCKLE FILIGREE EMPIRE PERIOD LONG 85 mm. WIDTH 42 mm. VEIGT 55 Gr.